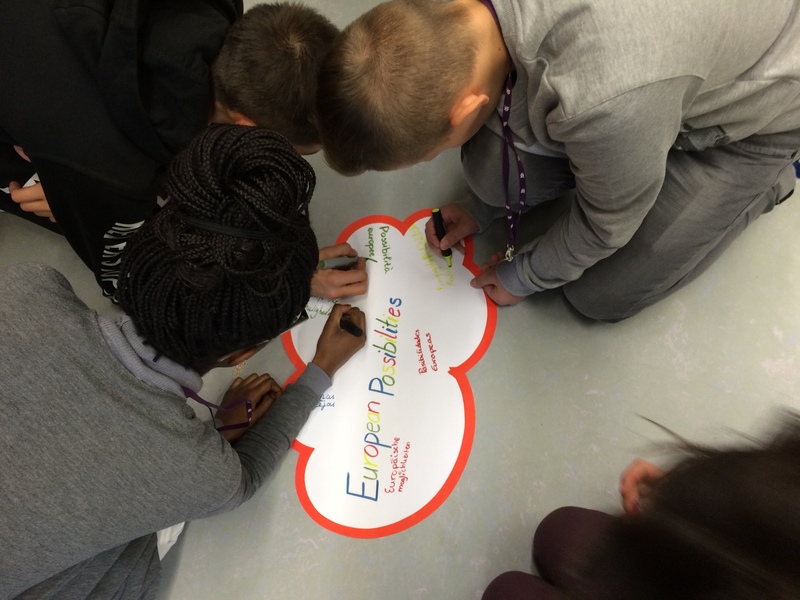 October 2015 , the beginning of the project “European Possibilities”, opens a new page in the three years long collaboration for teachers and students from six European countries. After the first excitement about being accepted in Erasmus+ projects, the partners from Latvia, Denmark, Slovenia, Spain and Poland started getting ready for the meeting in the first host country Germany. The preparation included team building, doing homework, buying sweets and presents, booking flights and a hotel, but it all was filled with hopes and wishes for meeting old friends and making new relationships. The main task for our project is studying European possibilities, studying and comparing the schools experience in preparing students for different after-school carrier options.